Sorry for not posting more regulary! I have been busy on custom covers for the past couple months. 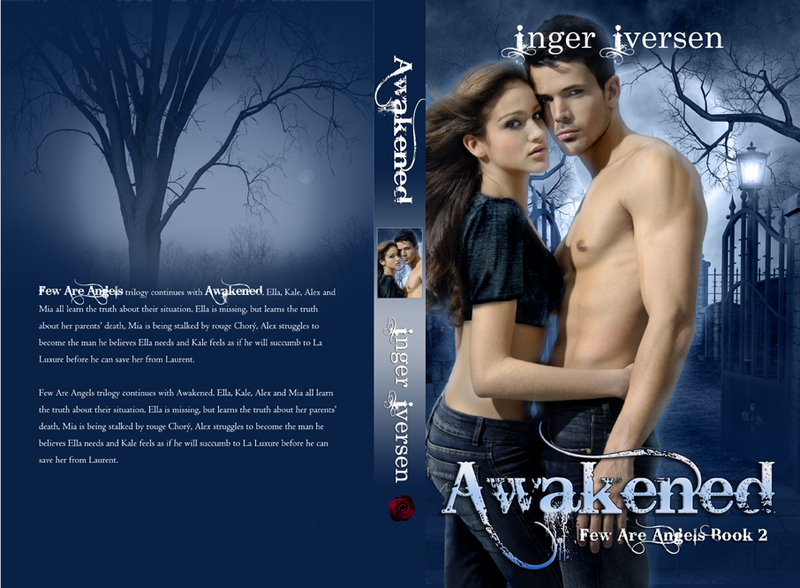 Below, please find Inger Iversen’s new cover for Awakened! I’ve worked with Inger before and we set up some branding standards together. She’s a joy to work with and discovered as she wrote book two, she wanted to incorporate a more realistic look to her cover characters. Inger had already chosen the couple and we worked with her previous cover and branding standards, along with a strong visual idea that Inger had imagined for the next cover to come up with this one.